3 x rebuild kit for the Weber DCNF 12 and 13 carburetors. 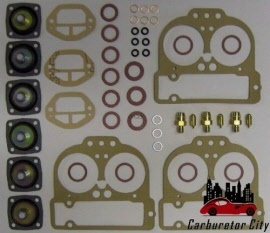 This service kit contains the parts to service 3 carburettors. Suitable for amongst others the Ferrari Dino 206GT.